Foundation can make your skin look absolutely flawless, provided it is the right one for your skin. 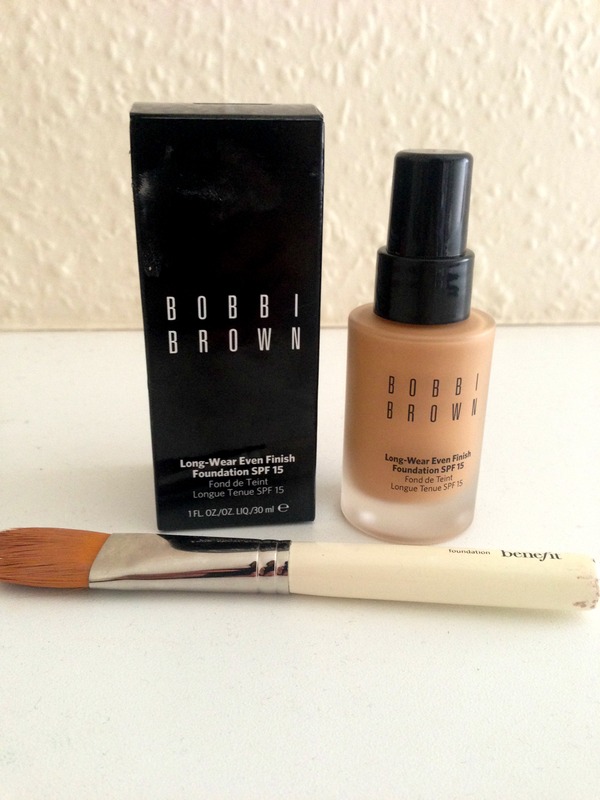 There are so many times of foundations out there from liquid to powder or a pump bottle or pot .The foundation I use is the Bobbi Brown Long Wear Even Finish Foundation SPF 15 in the shade Honey (5) – £30. I personally love this foundation because it is oil free so I don’t break out from using it like a lot of other foundations.It is light in texture so it looks so natural on the skin and there are a wide range of different shades available. I use the benefit cosmetics foundation brush for application and the brush is so soft which helps to apply the foundation evenly. … know your skin. Is your skin dry, oily, or both? Find a foundation that is tailored to YOUR skin. …make sure your foundation matches your skin tone. Swatch the foundation on your jawline, NOT your hand/wrist/arm. Make sure to check in natural light before you make a purchase. What often happens is that the bright lights used in beauty departments can change the appearance of the foundations. In natural light, the right shade will disappear into your skin. … Cake on your foundation. … Buy a foundation without testing it on the skin first. What appears to be in the bottle may not actually be what appears on your skin. … Rely on foundation to “fix” your skin problems. Sometimes acne fighting foundations can do more harm than good due to the harsh chemicals used to treat the acne. What foundations do you use and would recommend? Nice tips! I’ve been using MAC Studio Sculpt. I love it! But now that summer is coming I mix it with moisturizer for a lighter effect. Unfortunately MAC foundations don’t work for my skin type, but I do love the finish that they give!